Even though Steam has a wide range of virtual reality content, Vive maker HTC is giving users more options with its Viveport portal, a dedicated VR app store that the Taiwanese company hopes to open up to all headsets. The Verge reports that Viveport launched in China – one of the few countries where Steam isn’t hugely popular – back in the Spring. A global beta is arriving in the coming weeks, followed by a full rollout. Viveport will be available on mobile, PC, and an in-VR catalog connected to Vive Home. HTC said that the portal would initially be focused on the Vive, but the company has a long-term strategy of allowing other headsets, such as the Oculus Rift and Gear VR, access to the store. 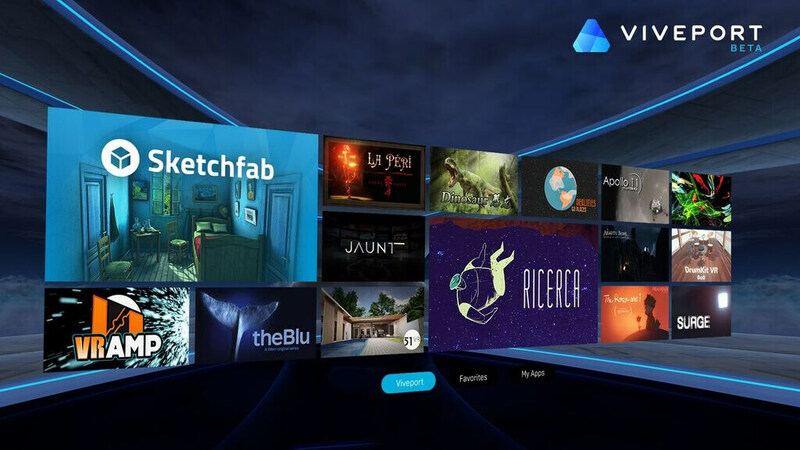 "We're currently focused on releasing Viveport for HTC Vive, however our longer-term strategy is to make it an all-encompassing VR content destination, not just HTC Vive," representatives told Wearable. HTC said it isn’t forcing developers to distribute any of their apps exclusively through Viveport, though they’re welcome to do so if they please. "Our approach to the market is to not pursue exclusives; we believe developers - and thereby the entire ecosystem - benefit from the distribution of their choosing. That said, they could certainly choose to distribute only through Viveport, however we don't limit them." Having a store dedicated solely to VR products that stocks a wide range of applications outside of gaming could increase interest in the Vive. HTC is always looking at ways of making the headset more appealing to consumers around the world, especially after its UK price was increased to $1000 in the wake of Brexit. Viveport will be available in 30 countries this fall.